Social media automation is the process of optimizing social interactions using automated tools. This can include scheduling social posts ahead of time or republishing popular articles. Automating social media publication, engagement and management reduces the hours spent on maintaining and growing brand accounts. As a result, time and resources could be allocated toward other areas of the marketing budget and meeting strategic goals. Best time(s): Wednesday at noon and 2 p.m., Thursday at 1-2 p.m.
Best time(s): Friday at 9-10 a.m.
Best time(s): Wednesday at 3 p.m., Thursday at 5 a.m., 11 a.m. and 3-4 p.m. and Friday at 5 a.m.
Brands without a dedicated social media team may struggle with posting on a regular basis if marketers find themselves juggling multiple responsibilities. 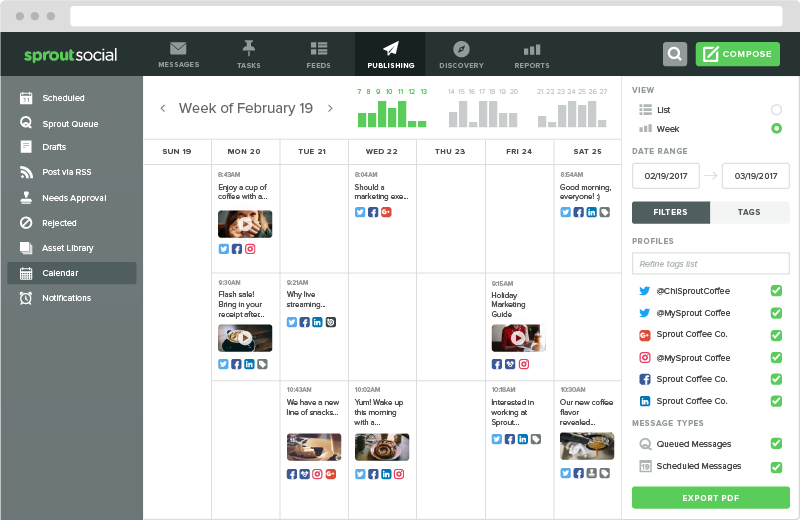 Social media automation lets you upload your content calendar so you can concentrate on other tasks. Additionally, if you went on vacation or want to publish posts outside of business hours, upload the posts and schedule publish dates days, weeks or months ahead of time. Automated tools analyze the data in real-time and report key metrics like engagement levels, impressions or reach. Some tools will also have customized reports sent to your inbox on your chosen schedule. Improve customer care by using automated software that suggests replies to messages or chatbots that send responses to customer questions or comments.